Srila Prabhupada left this world in Vrindavana, from where he initially reached out to us. He left the world while absorbed in translating and commenting on the Srimad-Bhagavatam’s brahma-vimohana-lila. In this lila, Sri Krishna planned a picnic lunch, a well-known painting of which Srila Prabhupada was so fond of. It is here—in this lila, longing to go to Govardhana—that Prabhupada’s brhat mrdanga was silenced, not by any external influence, but by the blessing of Sri Krishna inviting him to lunch. Bhava is characterized by longing, longing well deserved, arising as it does out of sraddha and saranagati. We see this kind of bhava in Srila Prabhupada, whose surrender was not partial but wholesale. Glimpsing by his mercy alone in the direction of his spiritual destination, may we all be humbled to fall flat in saranagati at his lotus feet. May we be showered by Srila Prabhupada’s infinite mercy, and may we one day be called to share some of Krishna’s laddus and kacauris with him. Real knowing involves realization. 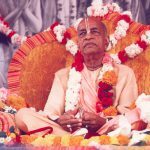 Some may have this realization, which involves experiencing Prabhupada in terms of his siddha deha. Otherwise, there are also some objective criteria that we can invoke in an attempt to gain insight into this subject. The most advanced devotee sees the soul of all souls within everything. Consequently, he sees everything in relation to the Supreme Lord and understands that everything that exists is eternally situated within the Lord. Does Srila Prabhupada fit this description? What did he see? He saw that there was much to be done in the service of Krishna, and he had an uncanny way of engaging everything he came in touch with in that service. In all of his involvement with worldly things, which was considerable, he never became distracted for a moment. From a homeless status in the Bowery of New York’s icy winter to temples in every major city of the world with millions of dollars at his disposal, he never changed. He remained fixed in serving Krishna. 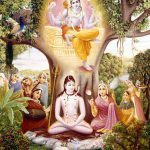 He ministered to people whom other Gaudiya Vaisnavas would not stand in the shadow of for fear of becoming contaminated. He cooked for such people and ate their cooking. It seems reasonable to conclude that he was seeing God within everyone, and seeing everything around him as the energy of God. 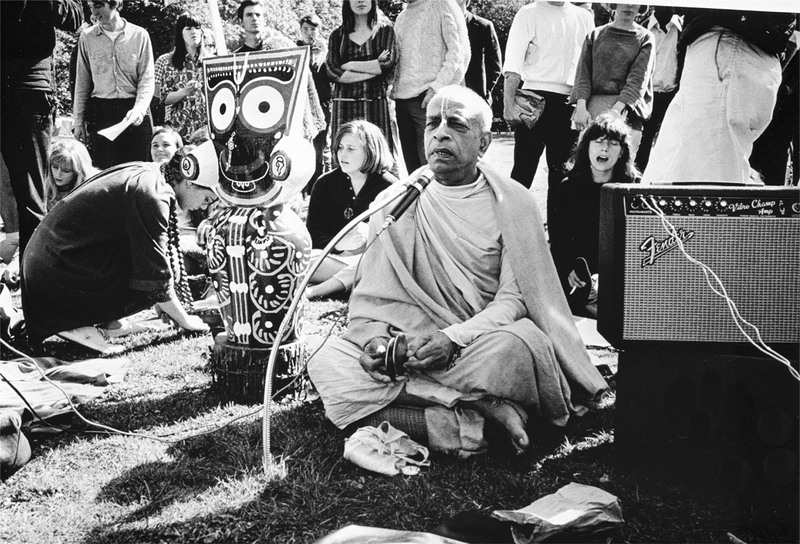 There should be little doubt that Prabhupada effectively engaged in Krishna sankirtana. Indeed, we would not be having this discussion if this were not the case. 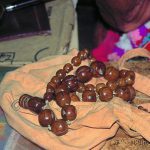 Mahaprabhu predicted that his name would be chanted in every town and village, “prthivite ache yata nagaradi grama, sarvatra pracara haibe mora nama.” I think it is apparent that Prabhupada was the devotee who fulfilled this prediction under the guidance of Srila Bhaktisiddhanta Saraswati Thakura and Thakura Bhaktivinoda. 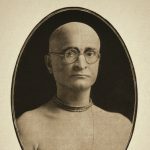 I was personally present and a part of his fulfilling the prediction of Bhaktivinoda Thakura, who envisioned that one day people form all parts of the world would chant ‘Jaya Sacinandana’ in Sri Dhama Mayapura. 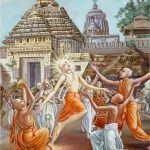 It is ludicrous to consider that Mahaprabhu would select someone who was less than a suddha bhakta to fulfill these predictions. Prabhupada was the bearer of the holy name of Krishna throughout the world. Wherever he went people were moved to chant Hare Krishna. Some places he never physically visited, places where Mahaprabhu’s mission was unheard of and the local environment less than favorable, became centers of nama-sankirtana and seva-puja through his influence, with hundreds of devotees enthusiastically participating in these activities. Krsna-sakti refers to Krishna’s internal energy (svarupa-sakti). This sakti dawns in one’s heart when one develops from sadhana-bhakti to bhava-bhakti. Rupa Goswami describes bhava-bhakti thus, ‘suddha sattva visesatam prema suryamsu samyabhak.’ ‘It is the ingress of suddha sattva, the ray of the sun of prema.’ The word visesatma implies the particular combination of the hladhini and samvit aspects of Krishna’s svarupa-sakti. When this appears in the heart of a sadhaka, that sadhaka becomes a devotee proper. He becomes a bhava-bhakta who knows his relationship with Krishna under the influence of a particluar sthayi-bhava (dominant emotion, such as sakhya or srngara). The extensive sankirtana of Srila Prabhupada is an outgrowth of his empowerment in krsna-sakti. He himself prayed for this empowerment, and under scrutiny, his prayer aboard the Jaladuta reveals something about the nature of the empowerment of krsna-sakti that Prabhupada experienced. Together with the external meaning of this prayer an internal meaning is intertwined. (1) Sri Siddhanta Saraswati is extremely dear to the son of Saci and no one is equal to him in serving Krishna. A great guru, famed throughout the world, he delivered devotion to Krishna wherever he went. (2) He had a great desire to see Gauranga’s name glorified throughout the Western world; so that in every town of the world, on the shores of its oceans, streams and rivers, people would call out Krishna’s name. (3) If that should happen, then that would be joy, that would be victory, that would be the extreme manifestation of Mahaprabhu’s mercy. All those miserable creatures contaminated by illusion would be happy and the Vaishnava devotee’s desire will see fruition. (4) Now he has given me the order to do this task though I am unworthy and most unqualified. This is why I am begging you for the blessings I will need, for today, you are wisest of all. (5) If you would give me your strength, then I could serve my spiritual master, and if I can make my life perfect by so doing, if I perfect my service and become joyful at this achievement, then your company will be my reward. (7) You are ever my companion, but I had forgotten this and so suffered Maya’s flogging birth after birth. 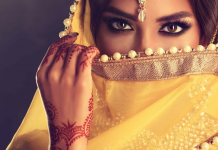 Today again this chance has come: if we make the connection, I will once again be able to meet with you. 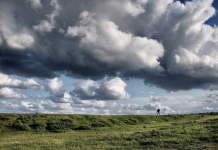 (8) Once we are together, brother, I will once more feel the happiness of wandering all day long, grazing the cows. I pray for the day to come when we chase each other and wrestle in every one of Vrindavana’s forests. (9) Today, along with this great opportunity, I have been able to remember you and so, with great hope, I have called out to you. I am your eternal servant, this is why I can hope, for other than you, I have no other refuge. In the refrain, Srila Prabhupada says ‘taba punya habe bhai e-punya koribe jabe radharani khusi habe dhruva ati boli toma tai.’ Here Prabhupada negotiates with his brother-friend (bhai), Krishna. He gives Krishna moral instruction, just as Subala sakha is said to be expert in doing in Rupa Goswami’s Radha Krsna gannodesa-dipika. In the bhava of a priyanarma sakha (bosom buddy), Prabhupada says, “O My dear friend, Krishna, it is certain that you will attain piety if Radha is pleased with you.” Here Prabhupada says that this is as sure as the pole star (dhruva) is fixed. He tells Krishna, “Your life revolves around her.” In this way he captures Krishna’s attention. Having done so in the refrain of his poem, Prabhupada then begins to bargain with his friend in the following verses. In verse five Prabhupada begins to express his own inner aspiration, which is further clarified in verses seven, eight, and nine, which follow Prabupada’s 6th verse, a citation of Prahlada’s declaration of his indebtednes to his guru in Srimad-Bhagavatam (7.9.28). In this prayer of Srila Prabhupada, we find the essence of Gaudiya Vaishnavism. Everyone is trying to please Krishna, but Krishna is trying to please Radha. 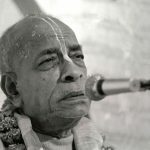 Prabhupada was well aware of this, and by pointing it out to Krishna so sweetly he got his attention, and thus Krishna bestowed the power to execute his Gurudeva’s order in no small way, and Prabhupada’s personal request was no doubt fulfilled as well. Here Prabhupada states his aspiration, and in the last sentence he imitates Krishna’s intimate friend, Madhumangala, who is a vidusakha (joker friend), and who is sometimes classified as a priyanarma sakha as well. Thus we have sastra, sadhu (Sridhara Maharaja), and the words of the guru himself to refer to for an answer to this question. Other than through our own internal realization, this is how we know that Srila Prabhupada is a pure devotee and a rasika. 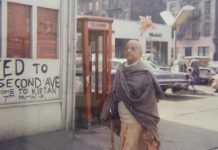 There may be other opinions regarding Prabhupada’s particular bhava, but there is no room for doubting his overall attainment of bhava. Let us be unified with regard to his perfection, and as we are moved by our developing inner realization through his grace, let us leave room for difference in experience. May he generously appear on the lotus of our purified hearts as he sees fit to, and may all of us who have been touched by Prabhupada’s sakti be as generous with one another as he is with us.